You are at:Home»Herbs»Bauhinia variegata Blume. Description : The bark is acrid, alterative, anthelmintic, antiinflammatory, astringent, cooling, constipating, depurative, styptic and tonic. 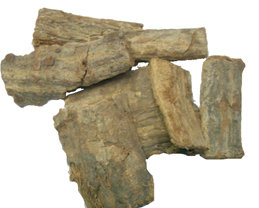 The juice of the bark is used in the treatment of amoebic dysentery, diarrhoea and other stomach disorders. A paste of the bark is useful in the treatment of cuts and wounds, skin diseases, scrofula and ulcers. Also useful in intestinal worms, haemorrhoids, haemoptysis, obesity, cough, menorrhagia and diabetes. Recommended Dosage : 4 to 8 g powder of dried stem-bark. Contraindication : This herb has no contraindications.